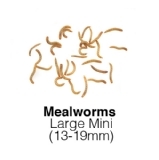 Large Mini Mealworms are carefully graded over mesh sieves to ensure a consistent size is always sold. 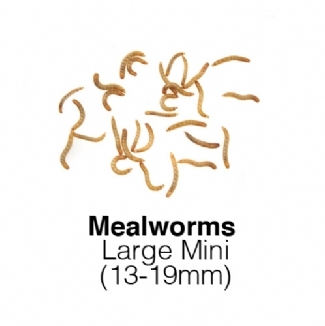 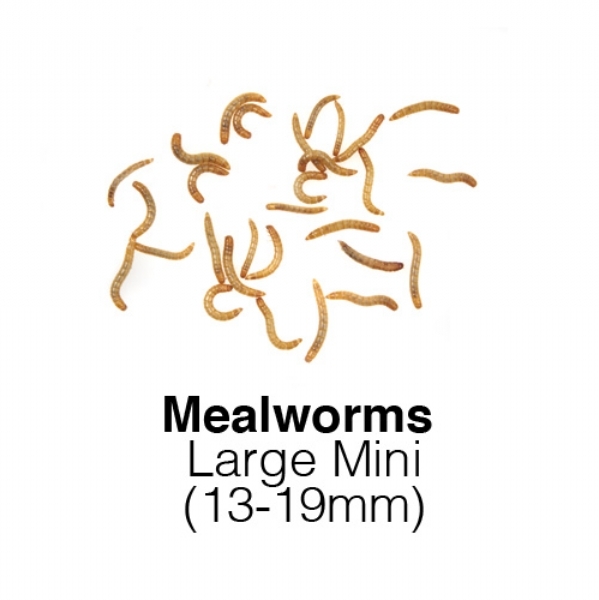 They are actually part-grown Mealworms, ideal for feeding to small insectivorous aviary birds or wild bird. 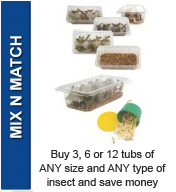 Especially suitable for nestlings.